ORANGE you glad it’s Thursday? This has been a pretty ‘off week’ so excuse the list format, but that’s how the brain is functioning…. Running-wise, I am way off schedule. Thanks to my seasonal allergies, I’ve been suffering through some pretty icky congestion and spontaneous sneezing fits – I know this sounds silly, but I really despise taking medication if not needed, but I turned to the generic Claritin-D – which worked, yes, but really did a number on me, side effect-wise with sleeplessness / anxiety. So, naturally, I went off that, but am back to feeling cloudy and generally unmotivated, which is so frustrating for me. School-wise, I hammered out my last cumulative paper for this semester last night, so after an edit, I’ll be down with my second semester of library school. I’ll have a few weeks before Summer Session I starts, so it will be nice to enjoy a little down time. Everything-else-wise, well, there are a few other (some major, some minor) subjects bouncing around my head that have made it difficult to focus on most everything. But instead of focusing on the negative, I do want to stop and remind myself about happier things. 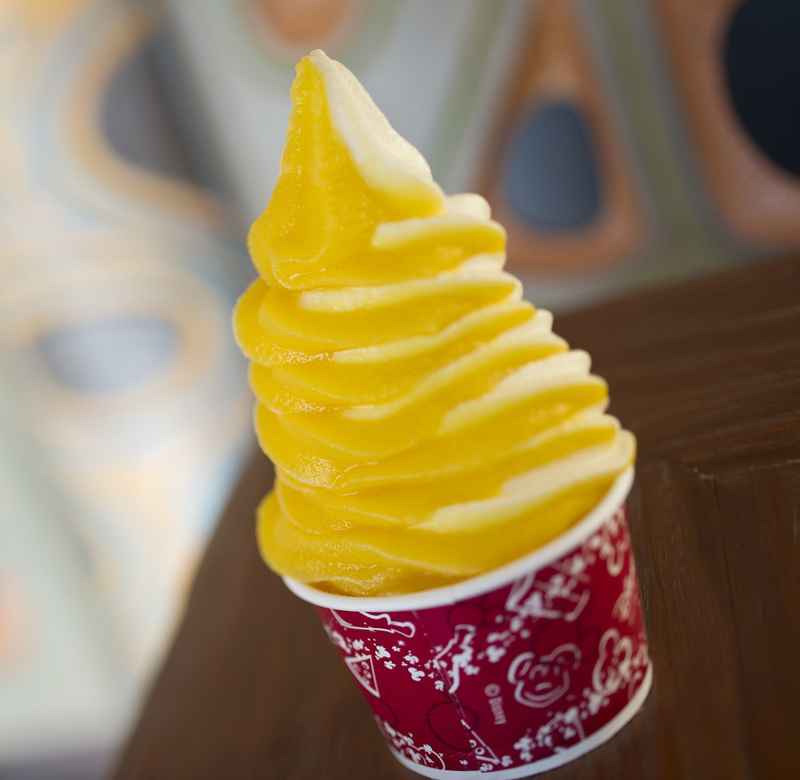 Orange Bird returned to the Magic Kingdom – and along with him, the Citrus Swirl – a frozen half orangey-half vanilla soft serve confection of deliciousness. I can already taste it…hurry up November!! I received my Oiselle order – a pair of Distance Shorts which I plan to wear for my hilly half marathon this weekend. Today is hubby’s 33rd birthday! (whoops, he told me that he plans to stay 29 – the age he was when we met – forever. Haha). I can relate to having an off week! I can also relate to reasons to smile! Sometimes it just takes a little more to smile! Hooray for getting your Oiselle shorts. I always get happy when I have a package come in the mail! I love my distance shorts. I will be wearing a pair of mine in my 10 mile trail race on Saturday, which is also my first race as a Oiselle team member. I hope to make you guys proud! So cute your hubby and him wanting to stay 29! 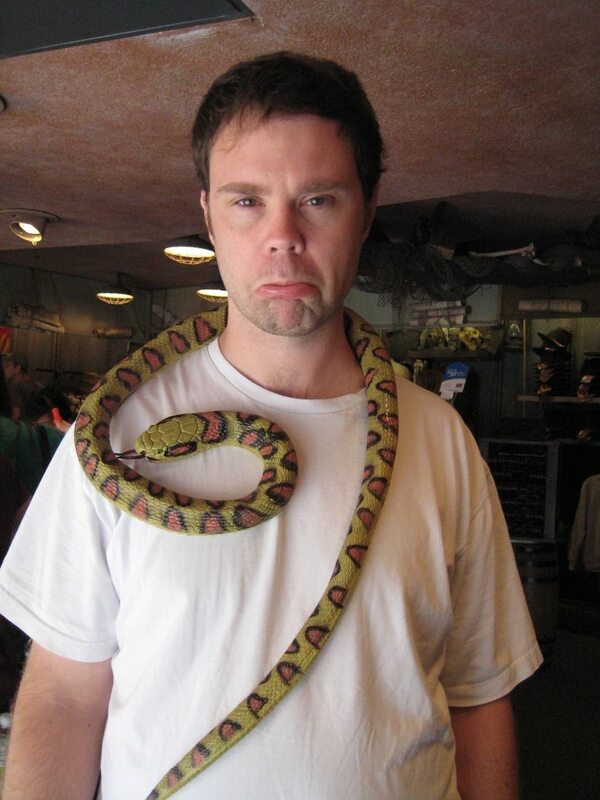 Nice Pic of Eric with the “snake”!! LOL!! You are one motivated girl!! I wish I had half of your enthusiasm for running!! Way to go!! I hope that what ever the “bad” things you are dealing with work them selves out and you stay focused on the good. have a good run this weekend!! Hahah, I know he loves this pic 😉 MUAHAHA!! 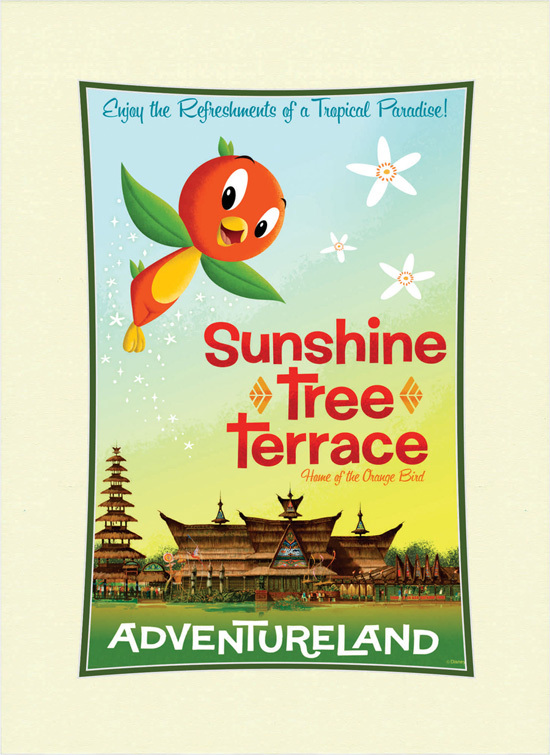 I’ve NEVER had an orange bird! I love pole whips – better??? Happy birthday to your husband! Feel better! I’ve been off lately too. Something’s in the water…oh wait, make that the air. Have you tried Zyrtec? Claritin didn’t work for me, but Zyrtec is my savior. Though some people experience side effects, I don’t whatsoever. Give it a go. It’s worth it to run, IMO. Happy belated bday to Mr. Brad! Claritin works for me so well, but side effects…..ugh. I haven’t tried Zyrtec but I have a generic of something similar and it is OK – like, I feel better but still sneeze like X100 in a row, lol. Brad had a great bday 🙂 Thanks!! !